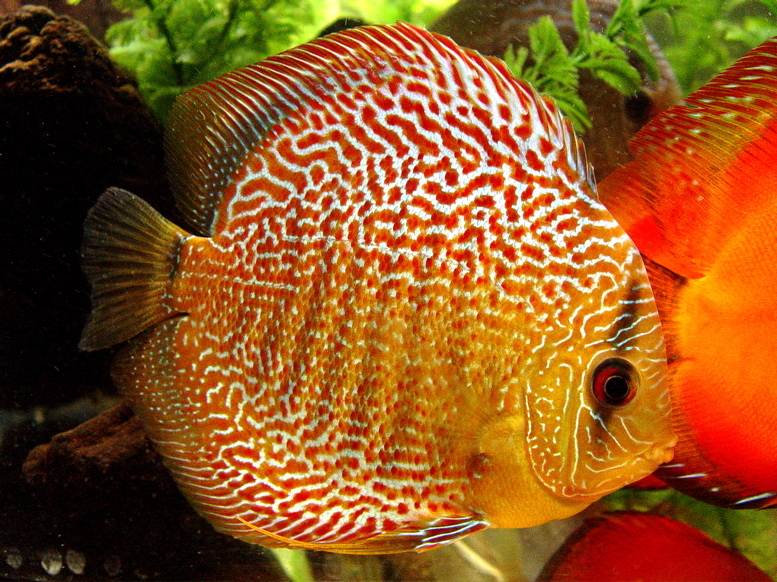 Description: One of the newer members of the family, our Checkerboard Discus. This discus is amazing! The colours are truly magnificent!